Designed specifically for Marshall`s MG Series, this cabinet is a perfect match for the MG100RCD, or any head or amp with a speaker extension jack. The MG412A is built to last and value-priced, giving you more for your money. Combined with the straight-front base cabinet, it makes a complete, full-sized stack. Features: Power: 120 watts Impedance: 8 ohms Speakers: 4 x 12 in. Marshall/Celestion custom-designed speakers (30W each) Dimensions (W x H x D): 26.4 x 26.4 x 14.0 in. Created in the legendary Bluesbreaker style, the Marshall Class 5 Guitar Combo Amp gets back to basics with a top loaded Plexi-esque panel comprising Volume, Treble, Middle and Bass. This simple feature set is the Class 5's secret weapon, as what you get in return is authentic class A tone, regarded by many as the purist in amplifier design, rich in smooth second harmonic distortion. The all-valve signal path offers a wealth of untainted analog tones right at your finger tips. Sparkling cleans, full bodied crunch and glorious lead tones are literally just a dial turn away, with the Class 5 also responding extremely well to on the fly guitar volume and tone control adjustments, making for a truly dynamic playing experience. Marshall Class5 Video Demos Click any of the video links on the left, then click Play to access the Class5 demos Marshall Class5 Features 5 Watt, 1x10 inch Combo Amplifier All-Valve Design with Class A Circuitry Powered by 2 x ECC83 Preamp and 1 x EL84 Power Tubes Celestion Designed 10 inch Speaker Compact Design for Playing out or Staying in All this great tone is delivered through a specially designed G10F-15 speaker. Developed in conjunction with Celestion, this 10 inch tone cone equips the Class 5 with fantastic bottom-end clout for an amp of its stature, yet also retains tonal clarity and definition. The rear panel offers both headphones and 16 Ohm extension cab output sockets, perfect for either fully cranked silent practice or driving a mighty 4x12 inch speaker cab! Manufactured at Marshall HQ in the heart of the UK, every Class 5 combo has been built by some of the most experienced hands in the business. 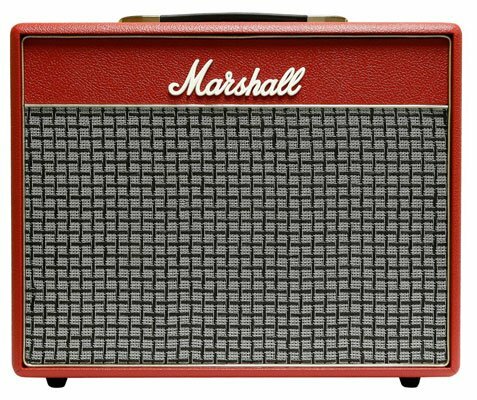 Specially selected components, solid construction, and precision craftsmanship affords the Class 5 the durability and reliability you would expect of a Marshall product. Ideal for use at home, the studio, rehearsal or small gigs! Marshall MC212 130W 2x12 Guitar Extension Cabinet This UK-built extension cabinet is suitable for use with a full-sized guitar amp head. 2 x 12" 130W cabinet features custom-voiced Celestion speakers, a birch ply baffle and extremely compact size. It operates in either 4 ohms mono or 8 ohms per side in stereo.